We are in the midst of docking lambs. 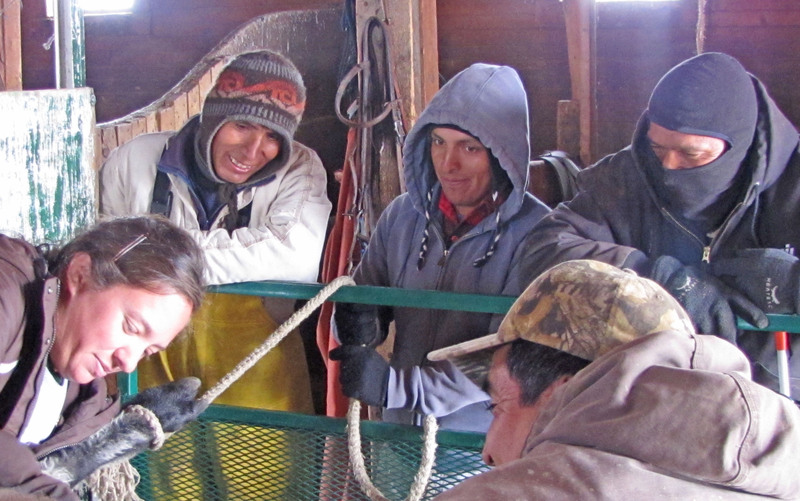 We have to hit the “sweet spot” after the lambs are big enough to dock without too much stress, before they get too big–which is stressful to the crew, and soon enough before we trail to the Forest to recover and be ready to follow their mothers. We also have to dodge stormy days, the schedule for artificially inseminating the cows, and the imminent arrival of the wool truck. 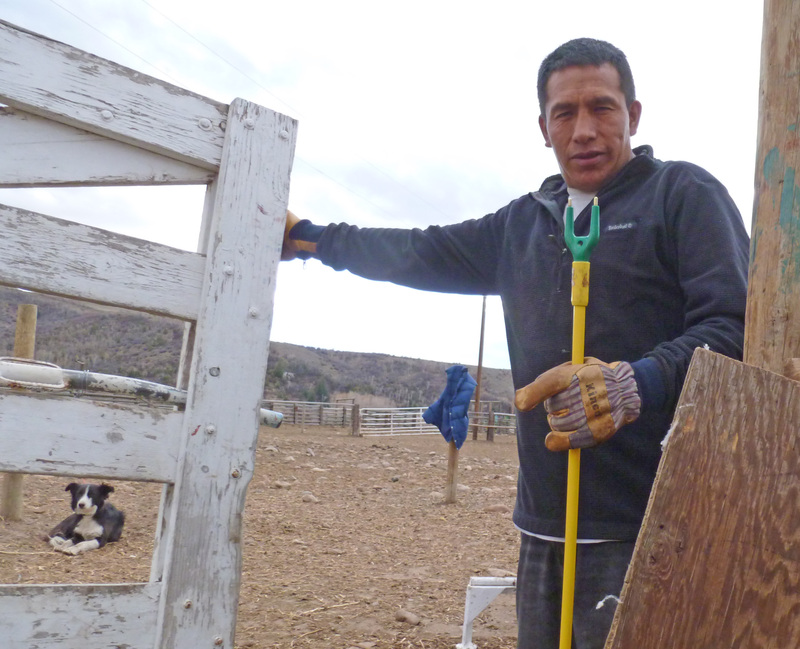 Our Peruvian sheepherders are glad to be through most of the lambing. 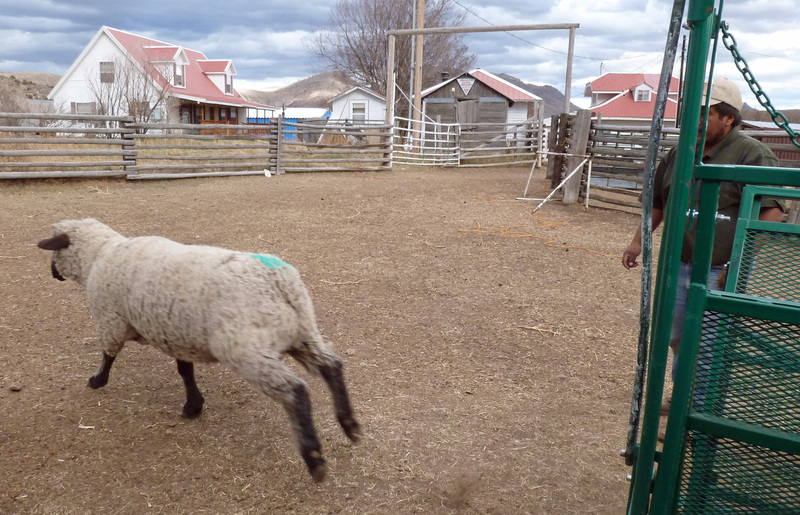 Now their biggest worry, and ours, is the loss of the lambs they worked so hard to deliver, to coyotes. 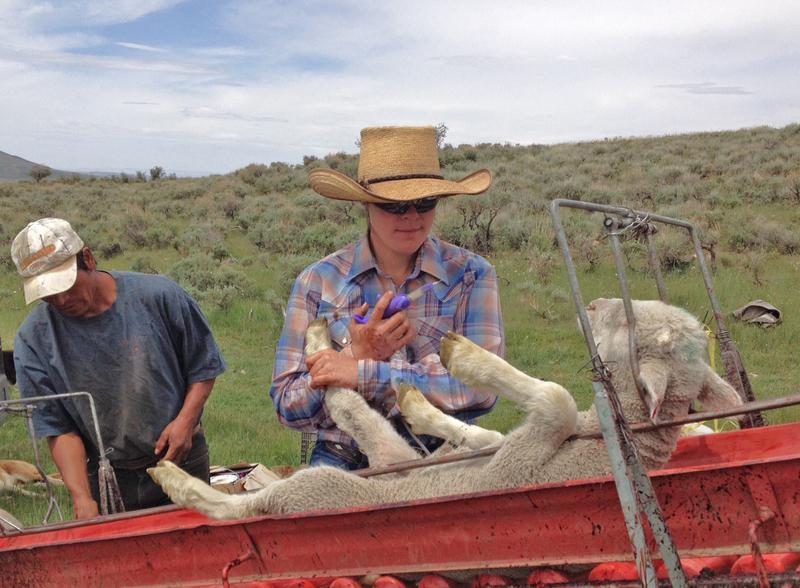 Yesterday, we lost 10 lambs altogether in the various bunches–and that was just one day. 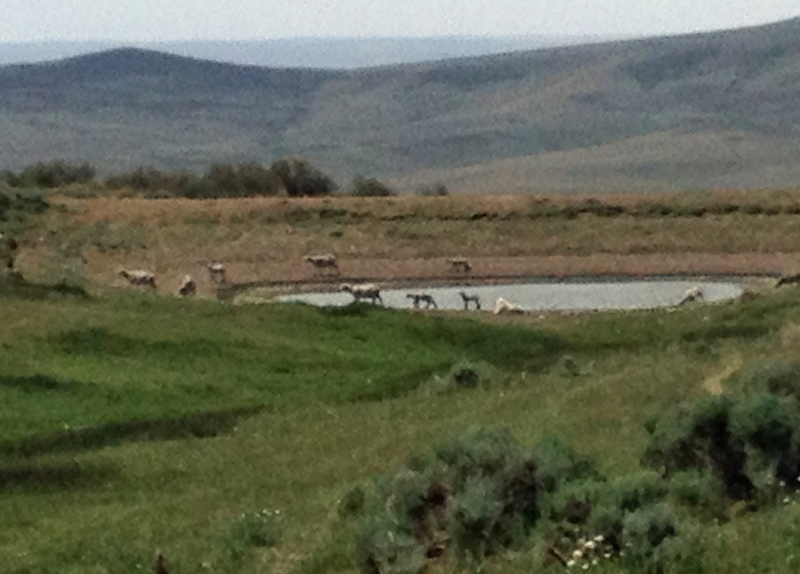 Docking means that we have moved the portable corrals to the temporary site where we have set up the day before. 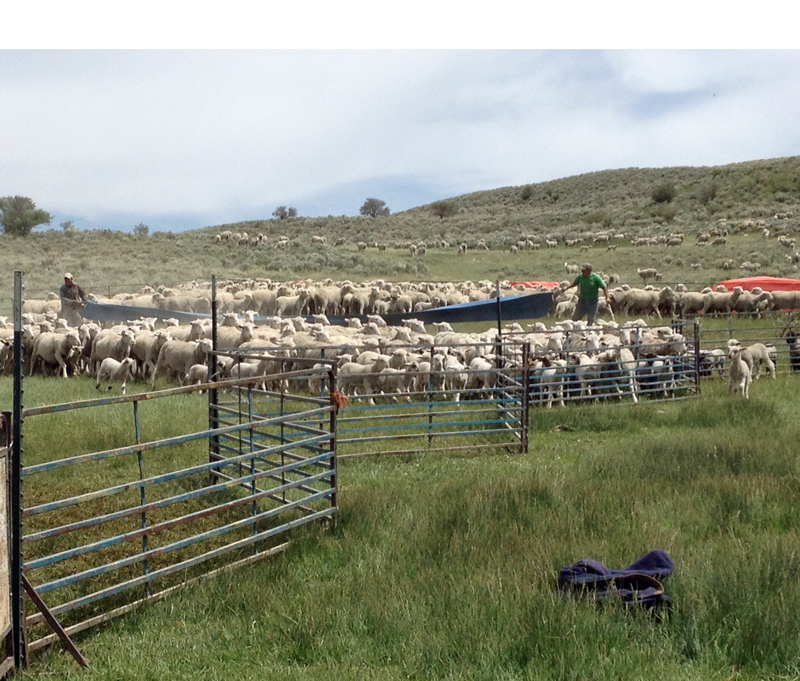 The herder has the sheep staged to go into the corrals early in the morning. 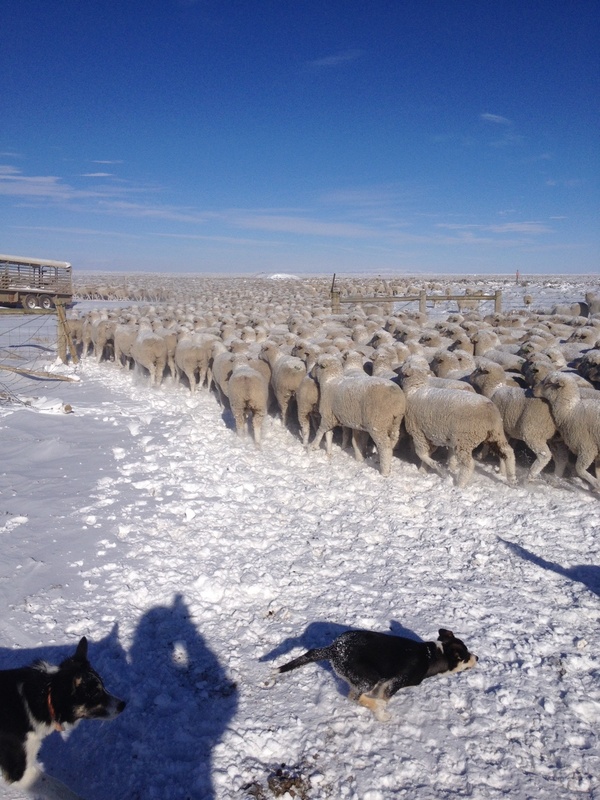 We hope to do this in an orderly manner without the lambs running back and scattering into the brush. 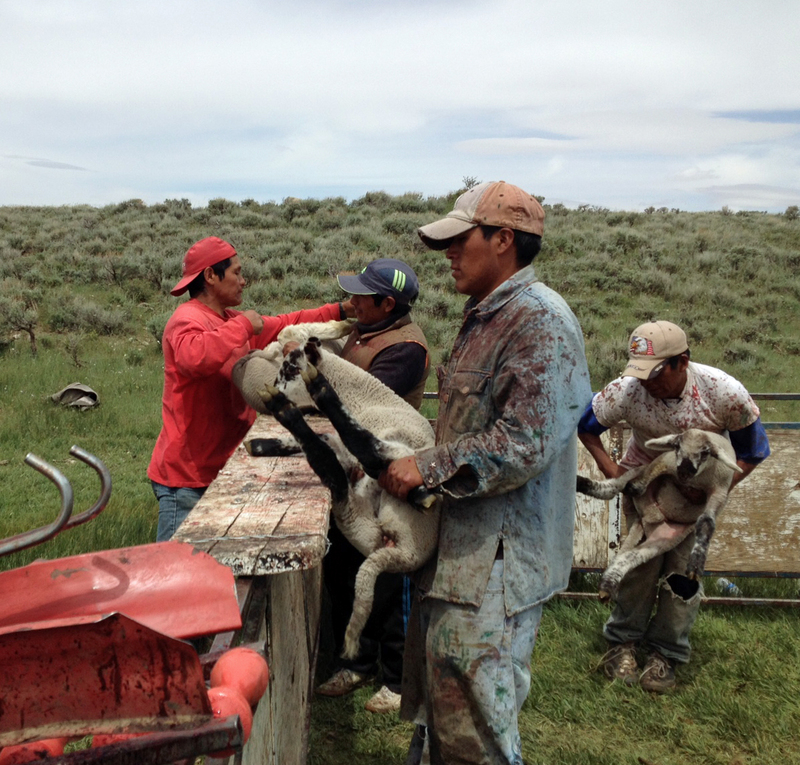 Once the ewes and lambs are in the corral, we start bringing them up in small groups, dropping the lambs into the small front pen, and paint branding the ewes in the forward pen, counting, and turning them out. 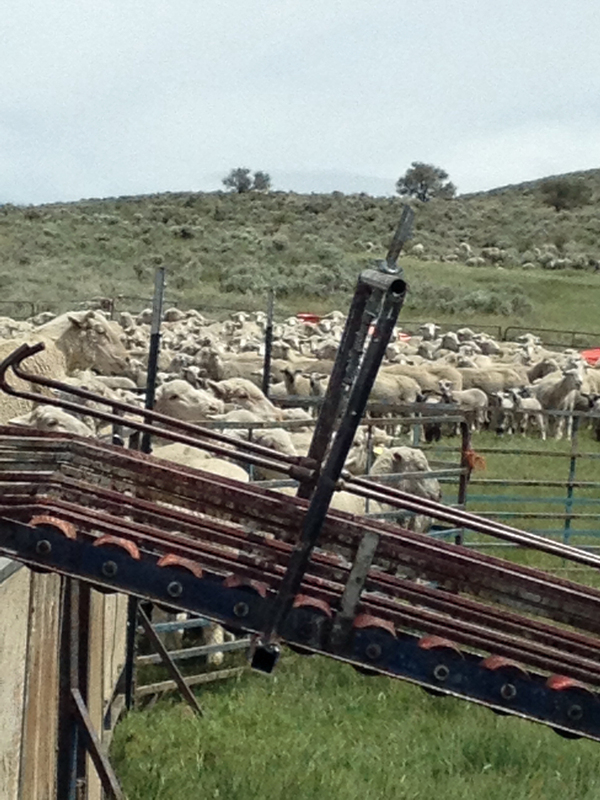 We keep bringing them up in small groups until the last lamb is docked and the last ewe is counted. 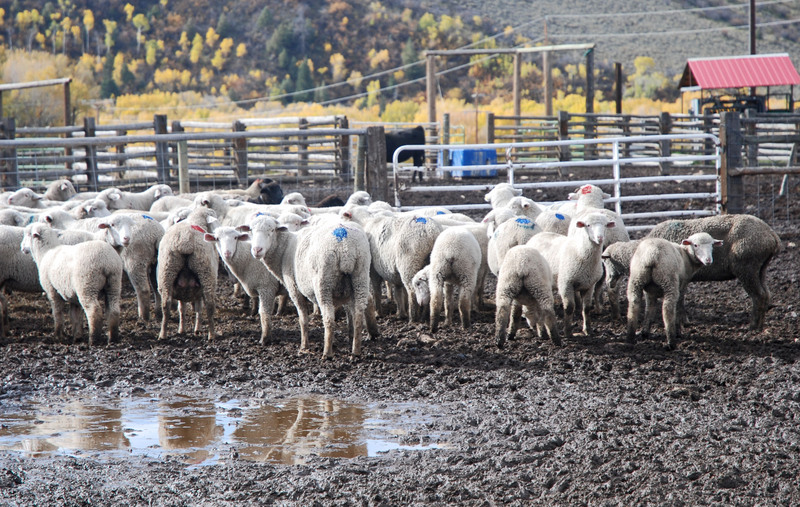 On the docking line, each lamb is earmarked with our distinctive earmark. 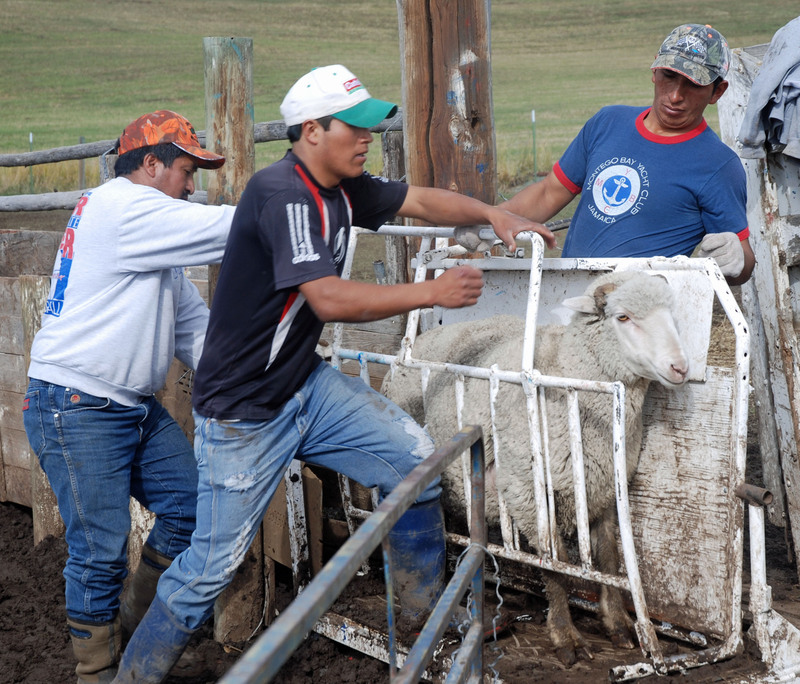 Buck lambs are castrated and the lamb carriers carefully place them in the “Dinkum Docker”–a mechanical holder which restrains them as they are vaccinated and slowly slide down to the bottom. The “tailer” sits at the bottom and sears off the tails with a hot knife. This is the safest and most humane way to remove the tails, since it is quick and leaves a clean wound. Another crew member holds the back legs to ensure that the tailer does not get kicked in the face, and applies a gooey mix of creosote and pine tar. This has antiseptic qualities and keeps the flies away. 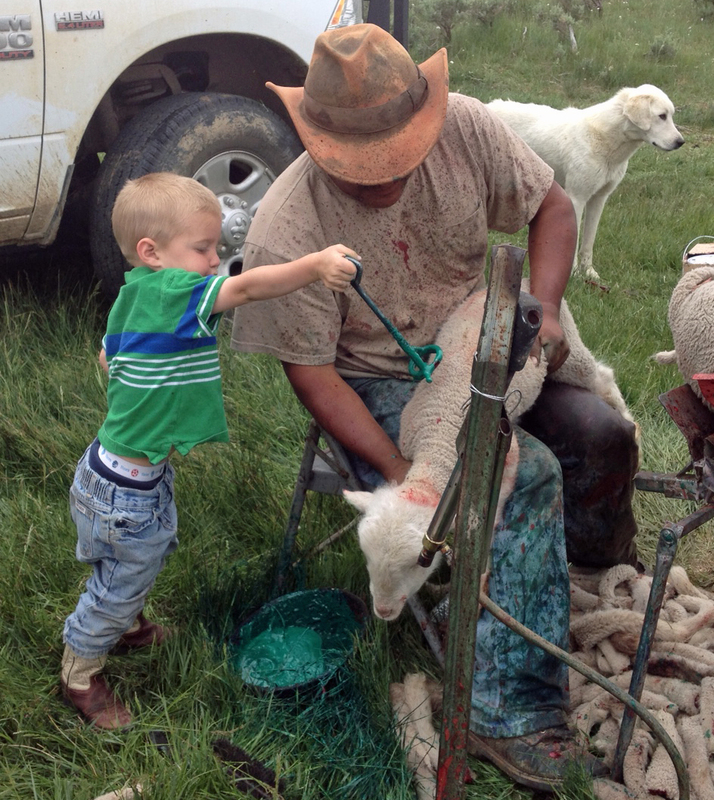 Finally the tailer flips the lamb over on his lap so that the brander can stamp on the paint brand. 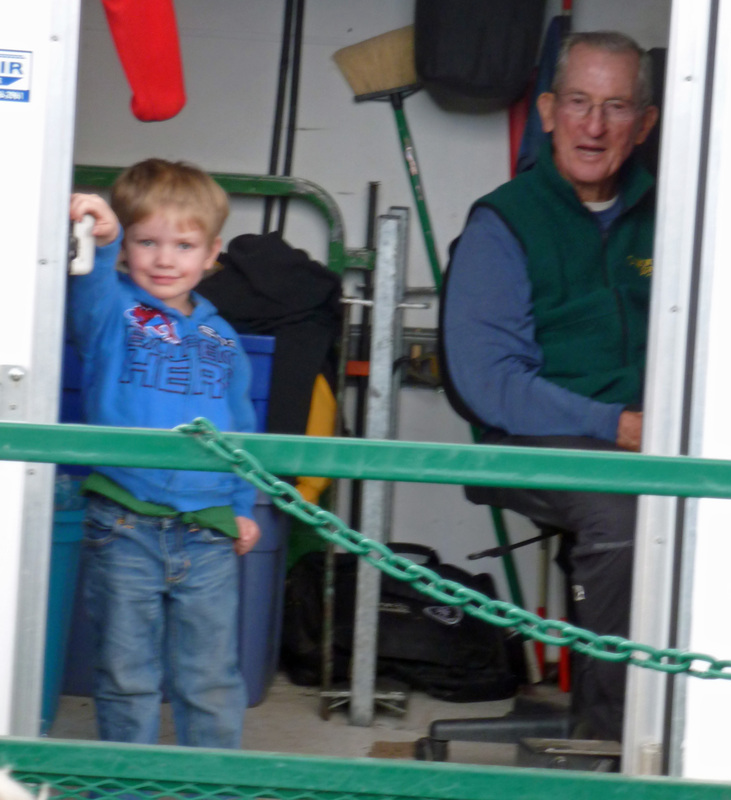 The brander is often a child. It is a skilled job, since the brand needs to be in the middle of back, and stamped on without too much wasted paint. 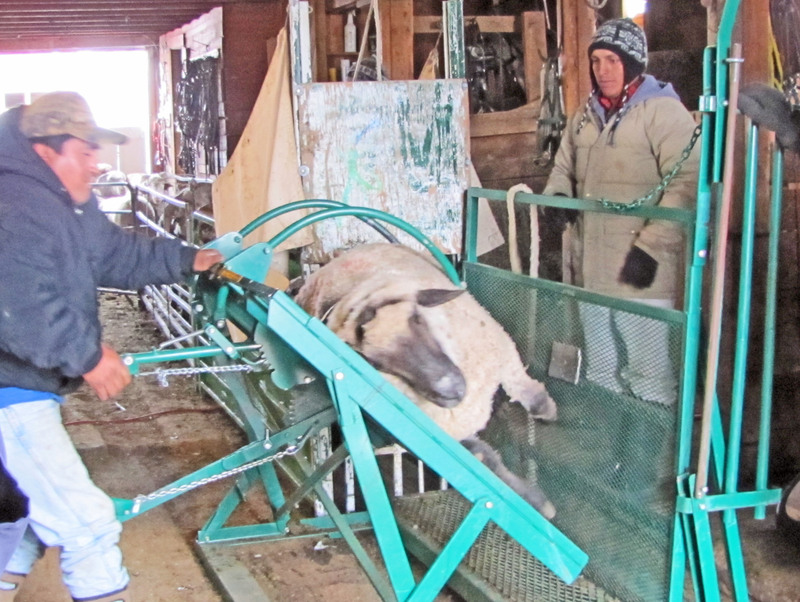 The paint is formulated to be scourable after the wool is sheared off. 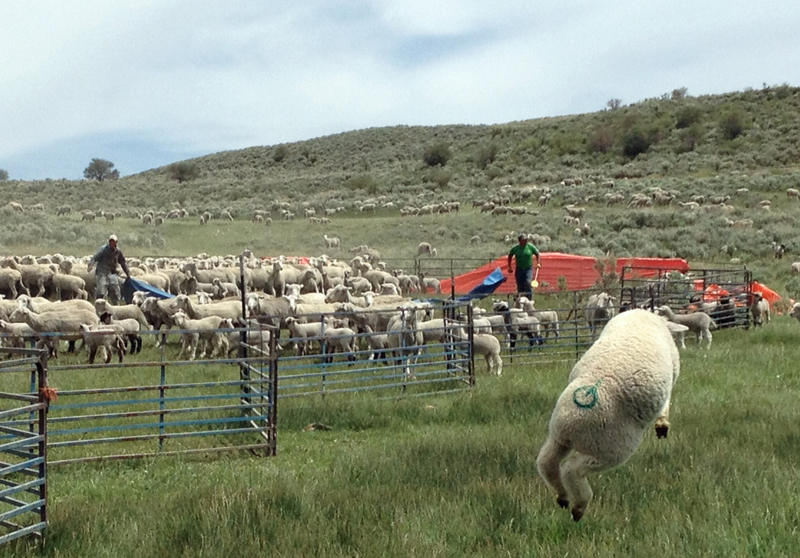 Pat always tells the brander that the other lambs will make fun if the brand is off-center or incomplete. This lamb is happy to be on its way! Tiarnan, Pepe, McCoy and Christian at Christian’s camp on Chain Lakes. 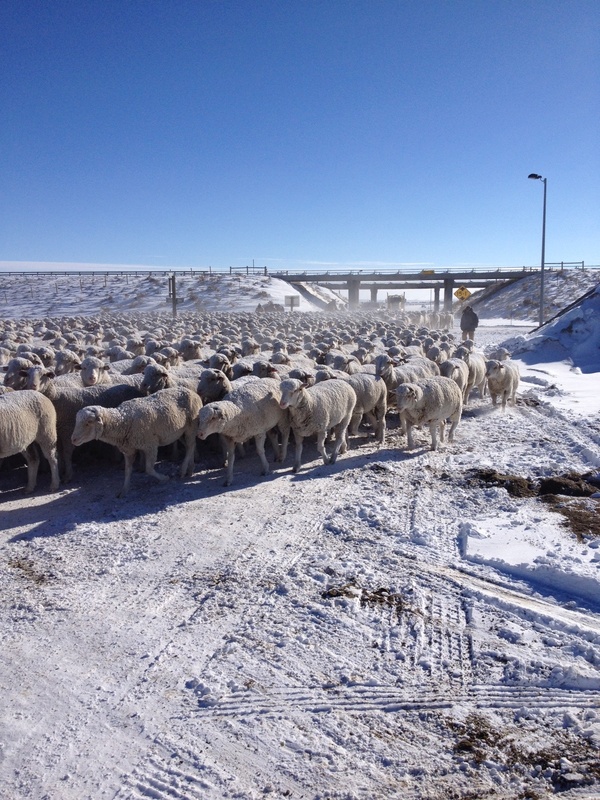 Once again, the sheep have crossed the UP line overpass and the I80 underpass at Creston Junction, Wyoming on their trek north to spend the winter months on the Red Desert on Cyclone Rim and Chain Lakes. We crossed three bunches one after the other. The first two bunches were one day apart. Fog and snow meant that bunch three had to hold up a day. 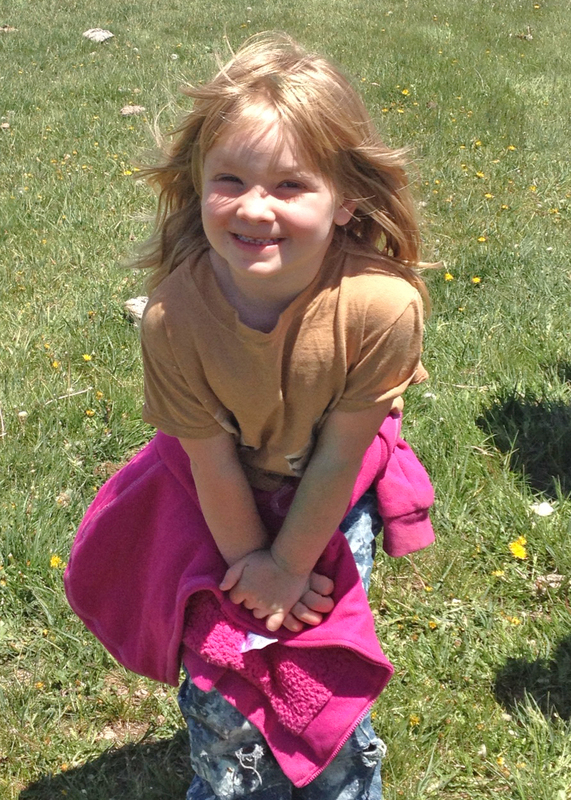 Our neighbors, the Rodewalds, told us to hold up an extra day on their pasture. 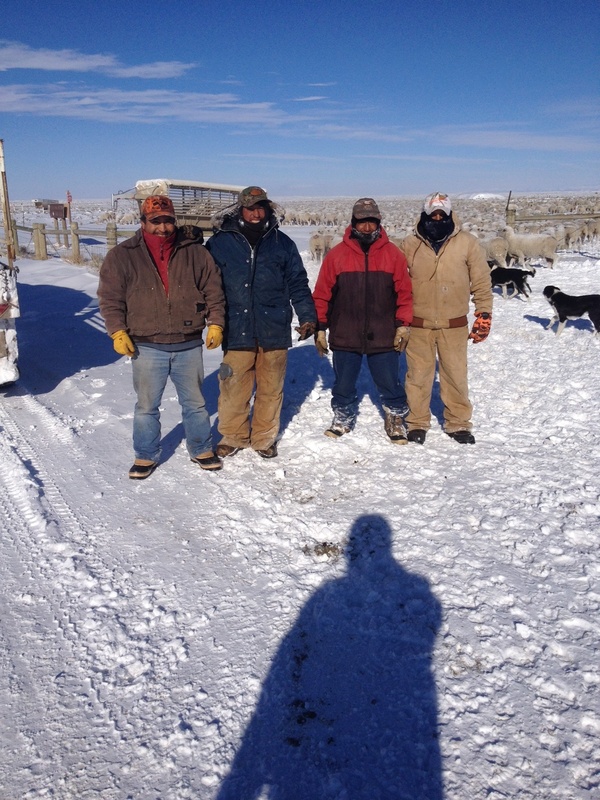 They had planned to ship calves that day, but had to cancel the trucks due to road and weather conditions. The next day dawned bright and clear, if bitter cold (-23 degrees) and we made the passage without incident. It is always nerve-wracking, due to heavy oil field traffic. We flag front and rear, and sometimes run into over-eager truck drivers. 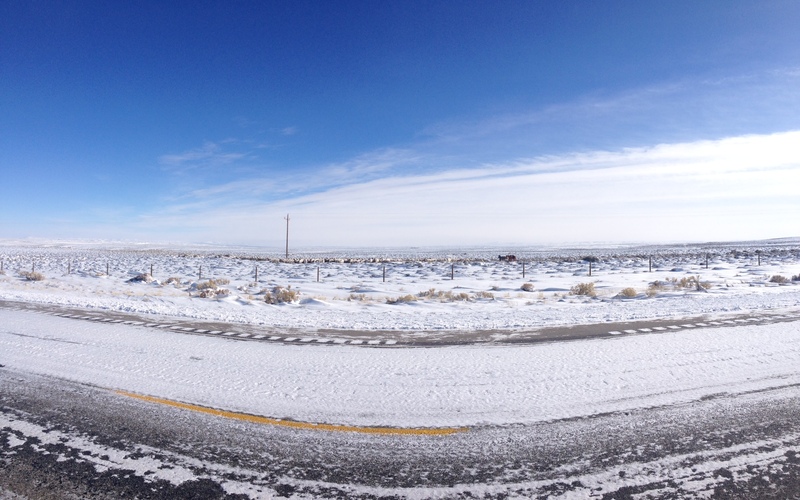 Luckily, this year, the truckers helped us and we crossed without any problems. On the same day, we got our first load of corn in. Corn is necessary to sustain the ewes through the cold cold weather, and to flush them since we plan to put the bucks in in a week or so. 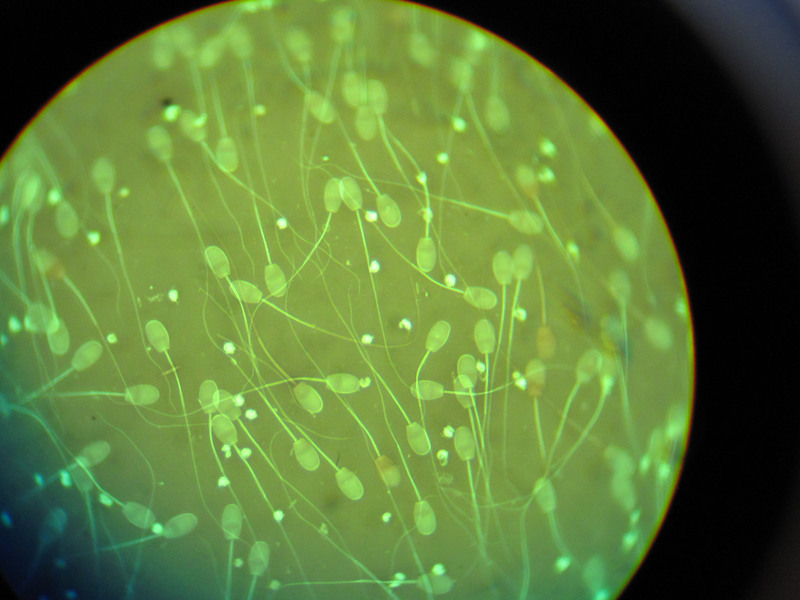 It is important that they are increasing their nutritional level just ahead of the breeding season, in order to increase the conception of twins. This is the time of year when we decide who stays and who goes. 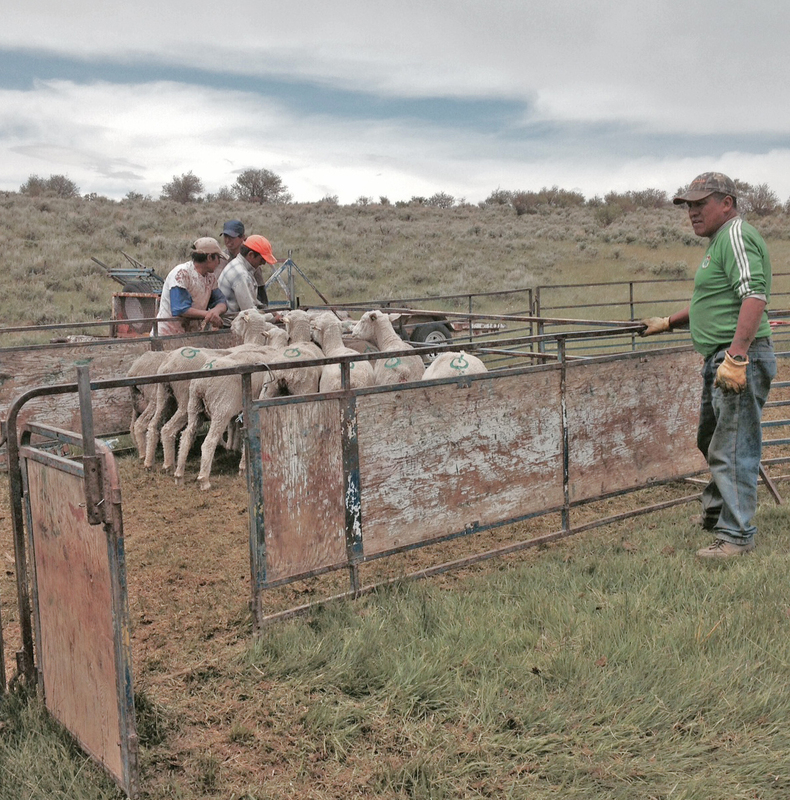 The rams are evaluated, intimately, by Geri Parsons and her crew (this year her one-woman crew) at Optimal Livestock Services for fertility, age, potential disease or injury, and condition. 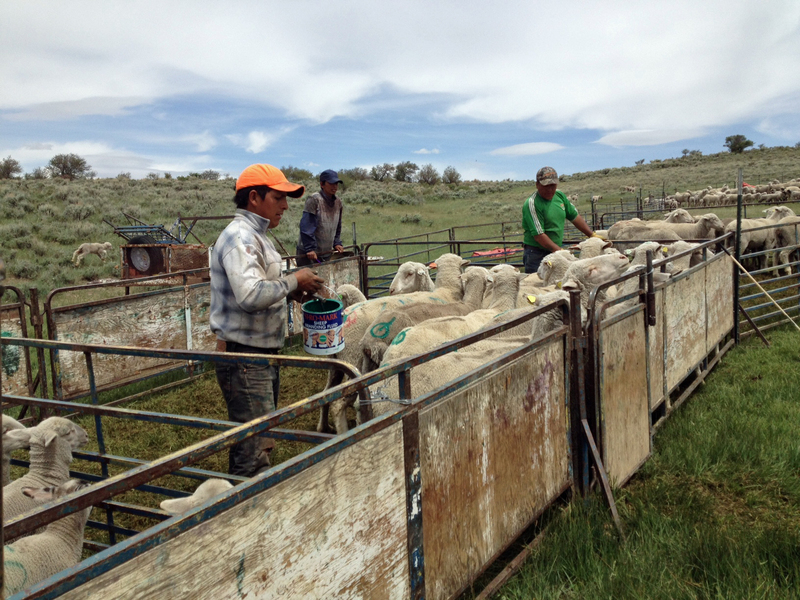 The ewes are evaluated by our crew for many of the same traits which indicate whether they will be productive for another year. 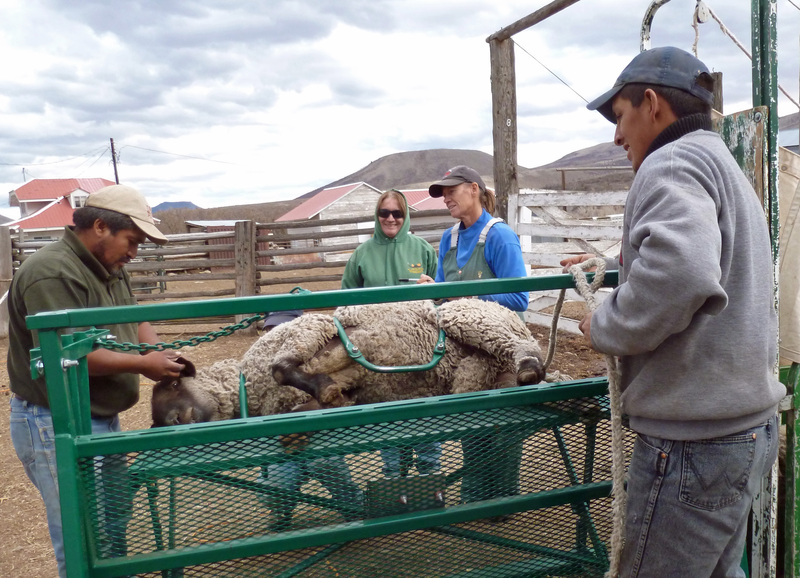 We check their teeth, which affects their ability to eat the hard winter grasses on the desert. We check their udders, and their overall condition. The rams are basically judged to stay or go. 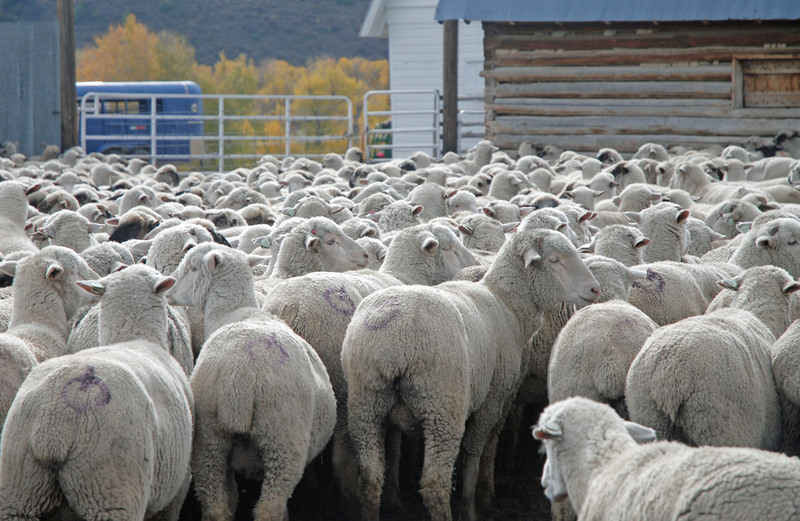 The ewes are judged as keepers, good old ewes who are sold to someone who can give them an easier lifestyle, and “killers” who are culled due to age, condition, and injury to their udders. 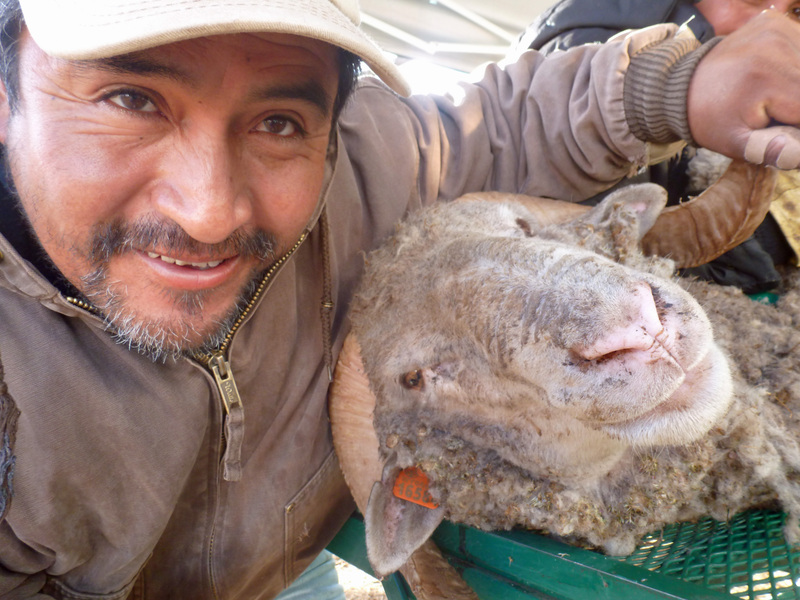 Most of the year, we think about the ewes–are they eating enough? are they pregnant? did they lamb? did they have twins? did they elude the coyotes and bears? 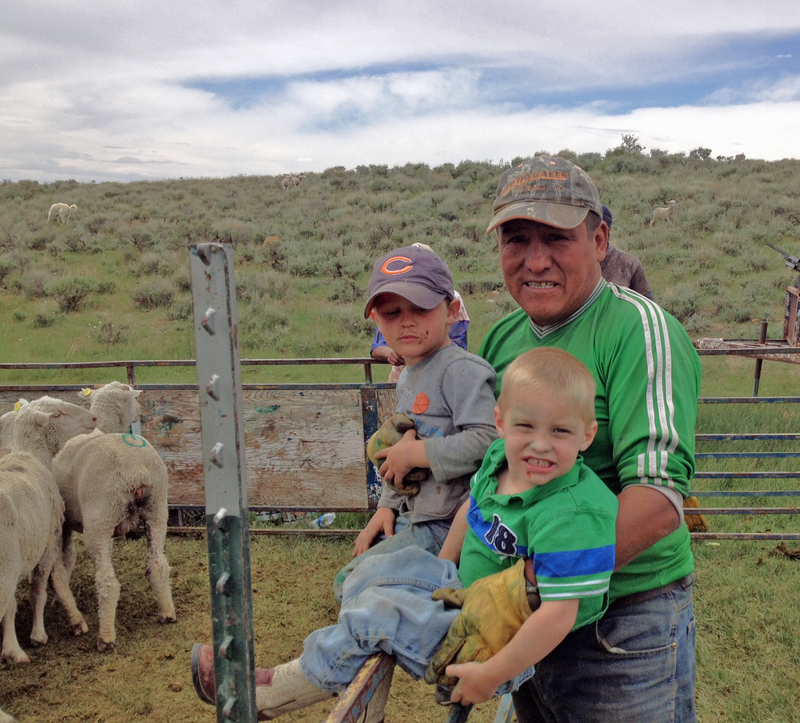 Of course, in order to have those little lambs hit the ground in May and June, we need to have dads. 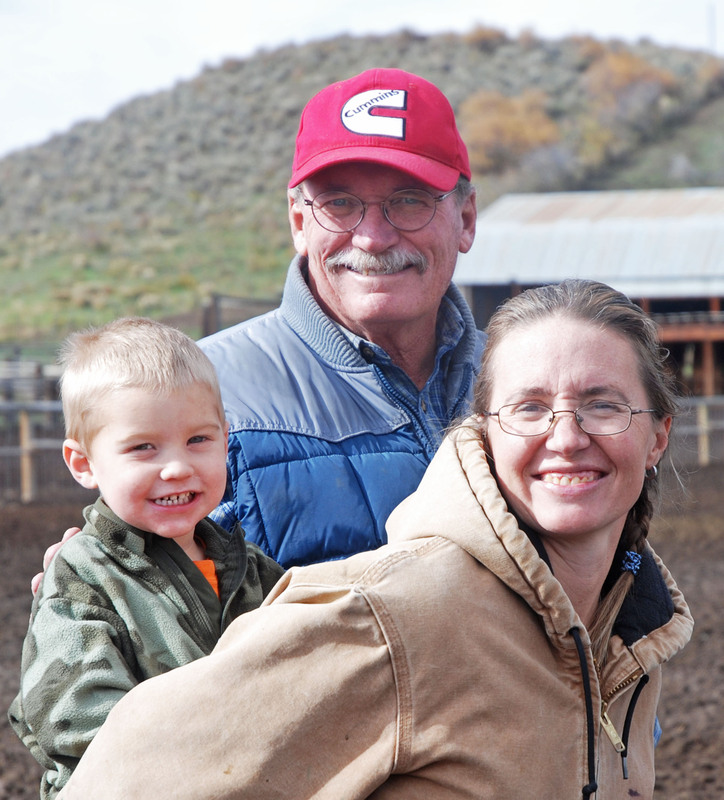 In the livestock world, dads (be they bucks, bulls, or stallions) count too, and we want them to be the best most productive sires we can find. 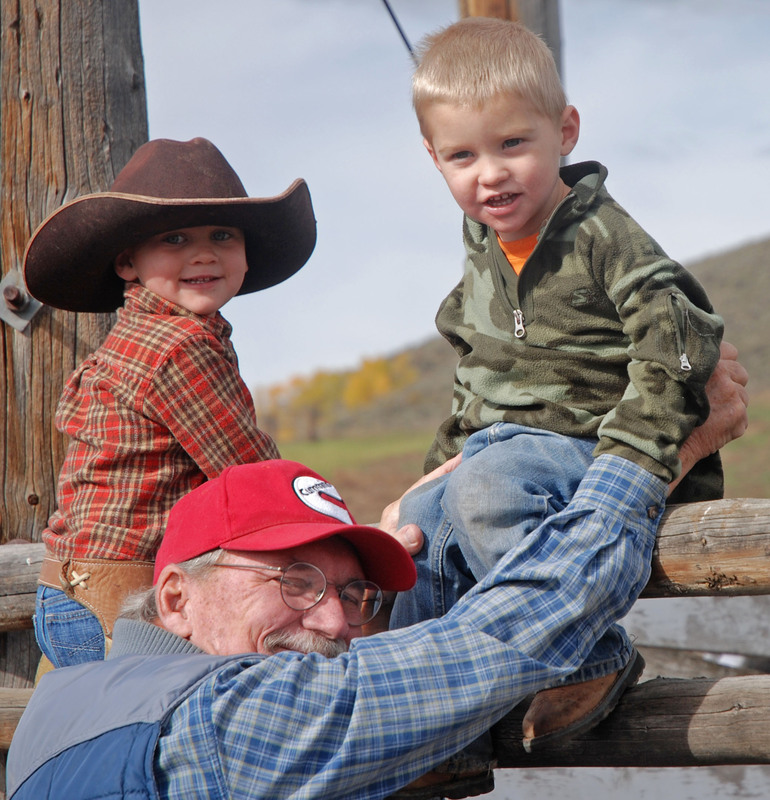 And, since it costs money and opportunity to support them for most of the year (well, actually, for all of the year, but they only work for a couple of months), we want to make sure they are the optimal sort of dad. Who you gonna call? 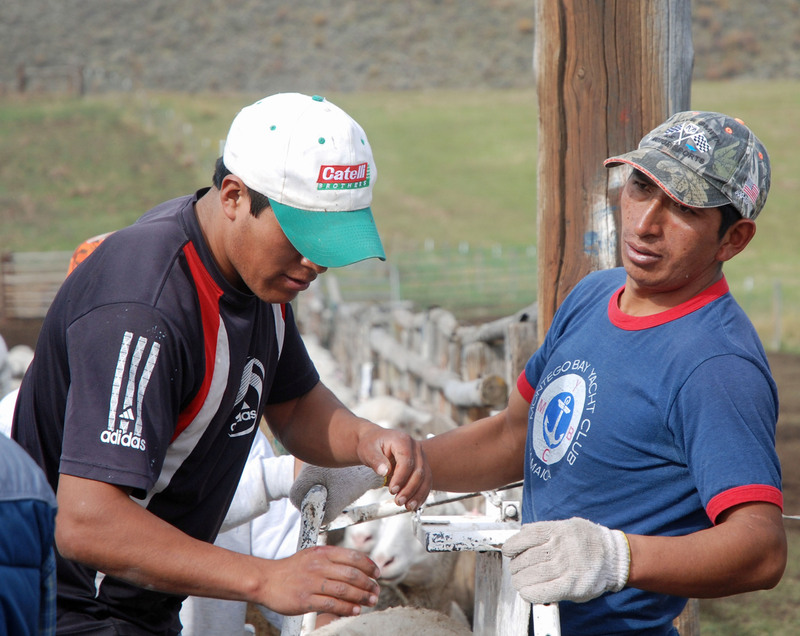 Optimal Livestock Services of course! 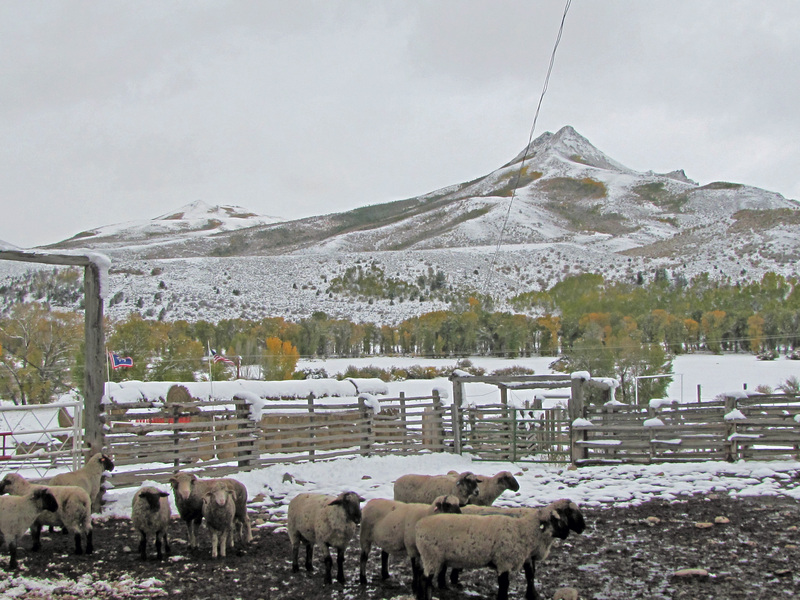 Each fall, retired Colorado State University vet Dr. Cleon Kimberling, and his partner and sidekick Vet Tech Geri Parsons travel throughout the Rockies to test rams. 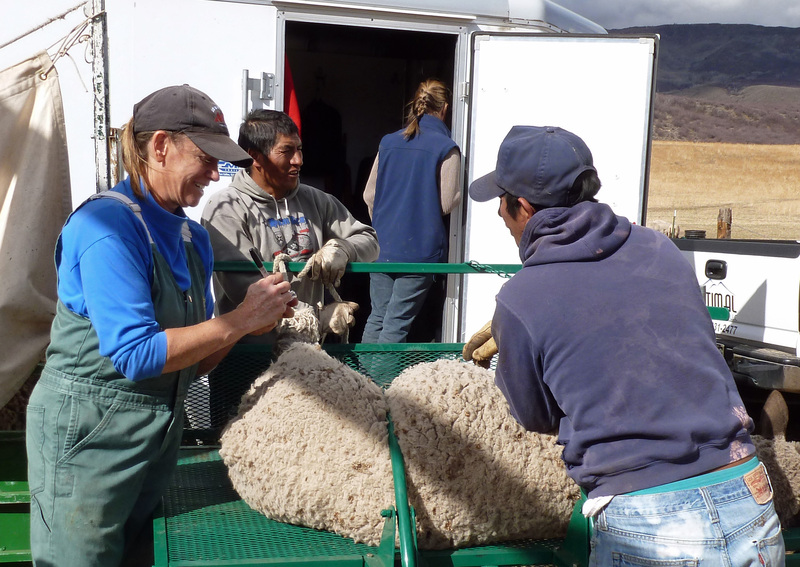 They check rams for fertility, disease, and other factors, such as age and condition, that can influence their ability to breed ewes. 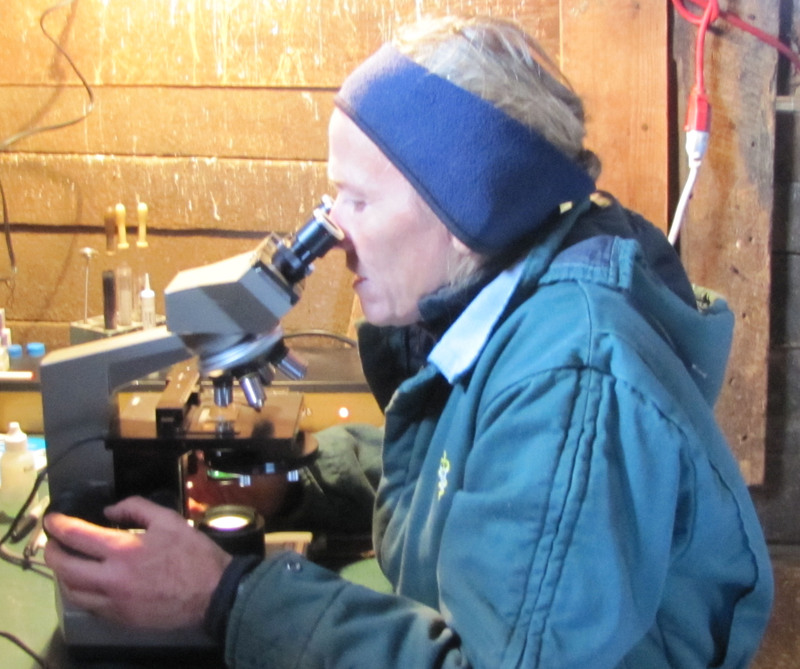 Dr. Kimberling mans a traveling lab, where he examines sperm samples from rams. 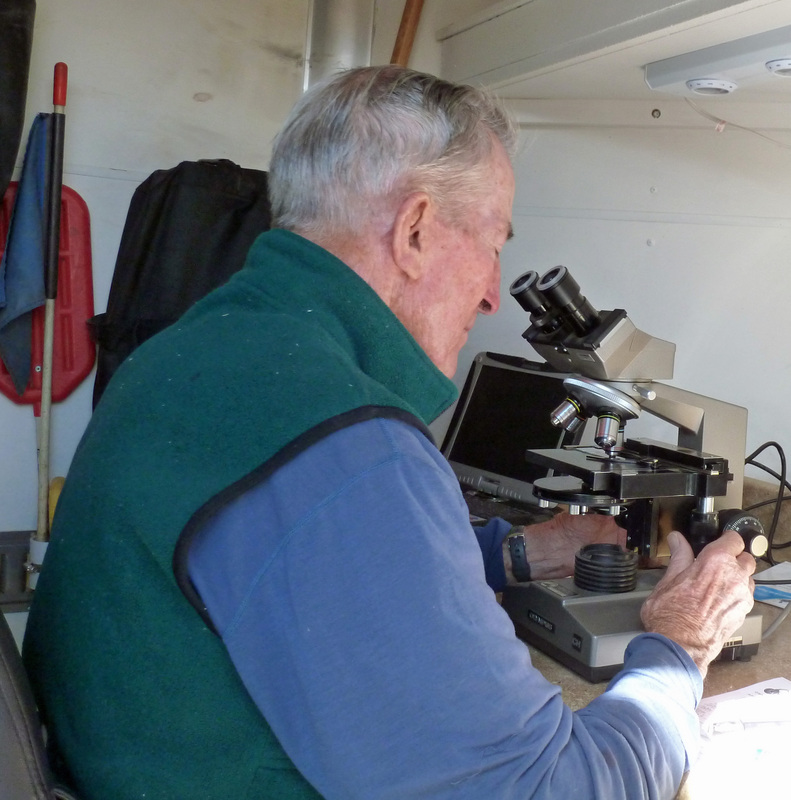 Geri, with help from our crew, collects the samples in test tubes, records information about each individual, and gives all the info to Cleon, who studies and collates it. 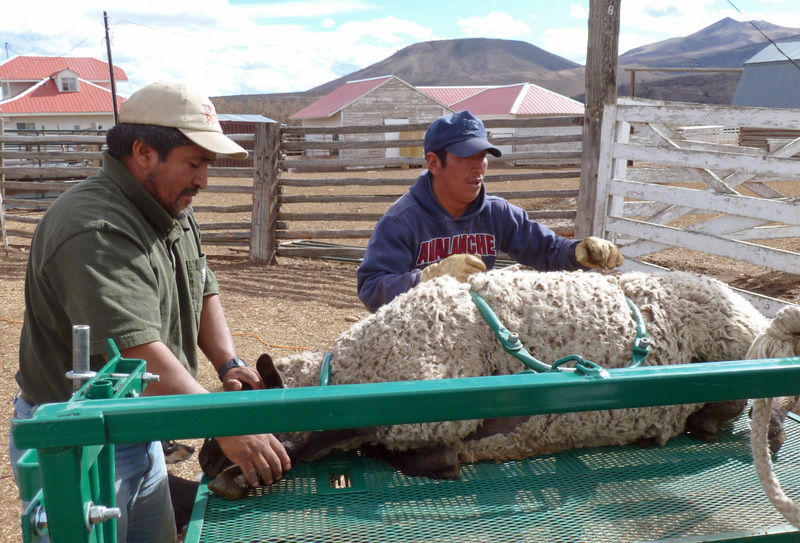 At the end of the process, we growers are given a computer printout that rates each ram according to fertility, health, age, and other variables. We then mark the rams who fail to make the grade. 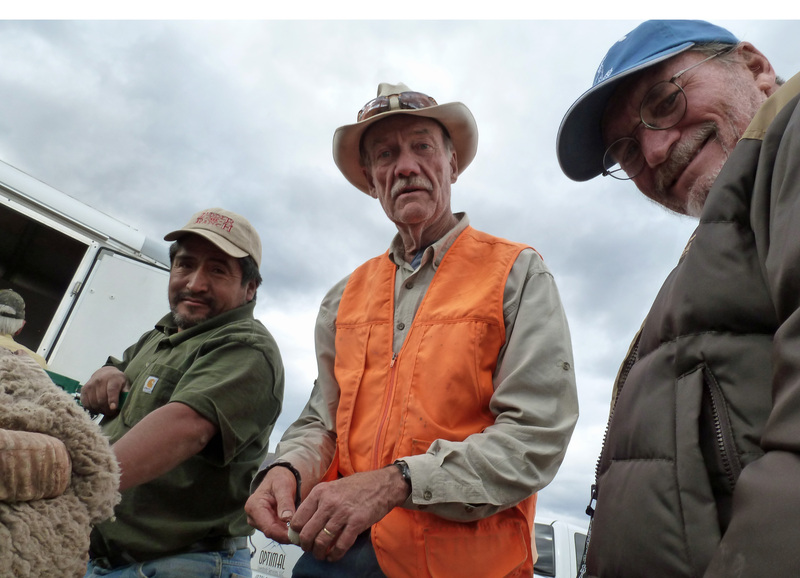 They get a truck ride which ends in a vacation in Mexico. I’ve never asked Dr. Kimberling what happened to his vet students who failed to make the grade.